Chair of the firm’s Commercial Transactions practice group, Zarina Fitzgerald has 25 years of experience in corporate and commercial law. She has acted in all aspects of commercial transactions, including large scale structured finance transactions, initial public offerings and private placements of offshore securities, mergers and acquisitions, and the registration and securitisation involving vessels and in real estate transactions. Her financial services regulation practice involves the full spectrum of regulatory and compliance issues pertaining to financial institutions. 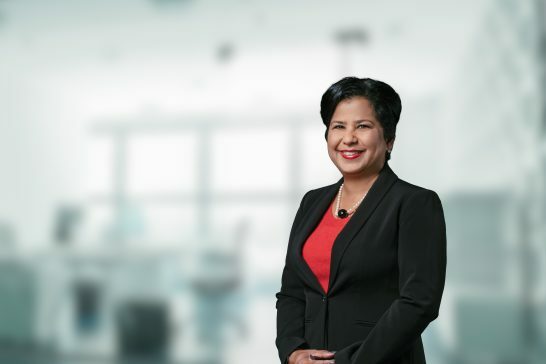 Zarina has acted in the refinancing of a project involving the design, construction and commissioning of a substantial public utility in excess of $250 million. She has also acted in the sale of a substantial interest in a company which provides wireless communication products as well as advising on the restructuring of the group. She has been involved in a due diligence project in connection with the proposed acquisition of a local power generating company and has advised in connection with the sale of a public utility. Zarina has advised in numerous transactions involving energy companies and represents substantial clients in this field on an ongoing basis. A native of Barbados, Zarina was called to the Bar of England and Wales in 1991. She is fluent in English and Spanish. She joined the firm in 2000 as a Partner. Acted in the refinancing of a project involving the design, construction and commissioning of a substantial public utility in excess of $250 million. Acted in the sale of a substantial interest in a company which provides wireless communication products as well as advising on the restructuring of the group. Involved in a due diligence project in connection with the proposed acquisition of a local power generating company and has advised in connection with the sale of a public utility.